As you know, some members are loyal survey takers, some like the opportunity to vent or praise, and some will always ignore the invitation. However, there’s a good chance you can increase member participation when you help your chamber members understand why your're conducting the survey and what you’ll do with the results. how to conduct Member Exit Surveys. 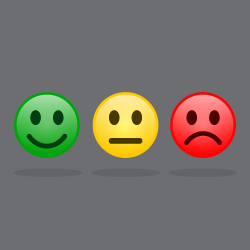 Here’s a simple three-step process for conducting an effective member survey. Ask interesting questions that are easy to answer. Add questions that will help you with blog topics you want to write. Change up the order of the questions each year. Remove questions that are no longer relevant or for which you do not need annual data, and add timely questions. Don’t avoid questions about satisfaction or cost of services. The feedback is helpful when evaluating (i.e. adding and eliminating) member programs. Include an open-ended question with room for write-in comments. To evaluate member value: Results will help the chamber plan for the future. As a member benchmarking tool: Results will help members compare their answers with peers. Or both of the above. Refer to the results of your past survey, as well as any changes your chamber made in response to the results of the past survey. Communicate what the deadline to take the survey is. Tell members that participants in your survey will be the first to see the results. Compile results in a way that highlights the meaningful data that is easy to understand. Don’t keep the results internal to staff and leadership. Share the results with members. Talk about the results with prospective members. Take a look at the 2018 Chamber Industry Survey Results now and see how your chamber compares.